Connecting with a genetic relative is only the first step in the DNA Relatives feature. Once you've found a genetic relative, a little detective work might let you pinpoint who the common ancestor is. The DNA Relatives feature includes a couple of features that will help you explore your genetic relationship with another 23andMe user. You can also communicate with your genetic relative from within the DNA Relatives feature. As with the sharing of any information, we urge customers to be thoughtful about information they share; please see our Privacy Statement for more information. Determine how many generations ago your common ancestor (with your genetic relative) lived. Compare family information (surnames and locations). View the locations of your shared segments. Identify relatives you have in common. Use the mother’s side or father’s side filter (if a parent is also a 23andMe user). The DNA Relatives feature estimates a predicted relationship to help you locate your likely recent common ancestor. The predicted relationship is listed above the percentage of DNA shared and again in the "Your genetic relationship" section (when you click on your genetic relative). By translating the predicted relationship to the likely number of generations ago your common ancestor lived, you might be able to identify which of your ancestors you share with your genetic relative. In general, for an "nth" cousin (e.g. n=5 is a fifth cousin), your common ancestors go back n+1 generations; so for a 5th cousin, you share great-great-great-great grandparents. You share great-grandparents with a 2nd cousin. All humans have ancestors in common. You and your genetic relative share a somewhat recent common ancestor - that is, a relative who likely lived within the last 10 or 20 generations. Sharing all known family surnames, birthplaces of ancestors, a link to your family tree, noteworthy family stories, and other information may help you may come across a name that you both recognize, and can therefore identify that recent common ancestor. Tip: Click on your genetic relative to send him or her a message or easily compare (self-reported) surnames in the Ancestry section. If you happen to be sharing on the X chromosome, you can immediately dismiss certain ancestors as your recent common ancestor. This is because men and women inherit the X chromosome differently. Men only inherit their X chromosome from their mother, while women inherit an X chromosome from each parent. Since men inherit this chromosome differently than women, only certain ancestors could have contributed to the segments of DNA located on your X chromosome. If you are a male who matches someone on the X chromosome, you can immediately dismiss any ancestors on your father's side of the family (represented on the left side in the pedigree chart). Your common ancestor can only be located on your mother's side of the family (represented on the right side in the pedigree chart). In the pedigree chart below, you can see which ancestors (from the past few generations) could have contributed to a male’s X chromosome. If you are a female who matches someone on the X chromosome, you can dismiss the ancestors located on father/son lines. As an example, you can dismiss your paternal grandfather's family since your father inherited his X chromosome from his mother. In the pedigree chart below, you can see which ancestors (from the past few generations) could have contributed to the X chromosome. The Relatives In Common functionality and the Shared DNA functionality - both located within the DNA Relatives tool - are two tools you can use to find individuals that likely descend from the same branch of your family tree. By finding groups of related people and either knowing how one person in the group is related to you or by sharing information about your family with each other, you may be able to discover how your DNA Relatives matches are connected to you and others, and even potentially identify your recent common ancestor. To see your shared relatives, click on a match in your DNA Relatives list and look for the Relatives in Common section on the comparison page. You can navigate to this section by scrolling down the page. In the Relatives in Common section, you will see the list of relatives that you have in common with a DNA Relatives match, the predicted relationship between each pair, and in some cases, if you share DNA in the same region of your genome. Only matches with whom you have a sharing connection or those showing ancestry results will display whether or not you share DNA in the same region of your genome. 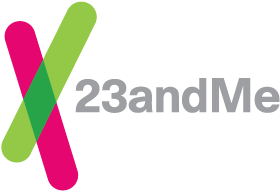 If one or both of your biological parents is a 23andMe customer and you are sharing with them, DNA Relatives can determine whether a match is likely to be on your mother's side or your father's side. You can then filter your matches by which side of the family they’re on. This can help narrow your search if you’re looking for a common ancestor with one of your matches or surface certain matches. Connecting with a parent isn’t an option for everyone. While a parent is needed in order to display which relatives share DNA with which parent, there are some things that you might be able to infer based on the location of the DNA segment, family surnames, or other genetic relatives you share with a match in DNA Relatives.